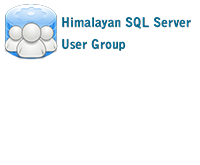 Inviting members of Himalayan SQL Server User Group. DPS 2018 is an annual 3-day learning event (with 2-days of pre-conference training) on Microsoft Data Platform & Open Source. DPS is the only learning event in Asia where Microsoft Data Group & Azure Product Team Members from Redmond & global experts from 15+ nations fly down to Bangalore and deliver in-depth sessions on diverse technologies related to data & analytics. Tracks: Artificial Intelligence, Machine Learning, Advanced Analytics, Cloud, Business Intelligence, Big Data, IoT, NoSQL, Database Administration & Development. Experts: Microsoft Redmond’s Artificial Intelligence Team, Azure, Analytics & SQL Server Product Team Members, Cosmos DB Team & Azure CAT (Customer Advisory Team), & industry experts from 15 countries (MCM’s & MVP’s). Delegates: Developers, DBAs, Architects, BI, Cloud & Big Data professionals, Analysts, Architects, Data Scientists, Managers & Leads, Project Managers/Leads, CTOs/CIOs/IT Directors, VPs/AVPs etc. Session Formats: Chalk-Talks (Illustrative learning), Open-Talks (Project-based discussions), Break-outs (the class), Group-discussions, Panel-discussions etc. Participation: 300+ Companies, 1000+ Delegates from India & over the globe.